I extrapolate by the context (red apron and white clothing) that this is a Pamplonese waiter during SanferminesÃƒâ€šÃ‚Â´ season. If they don’t live in an english speaking country, why would would they need to learn it colin? 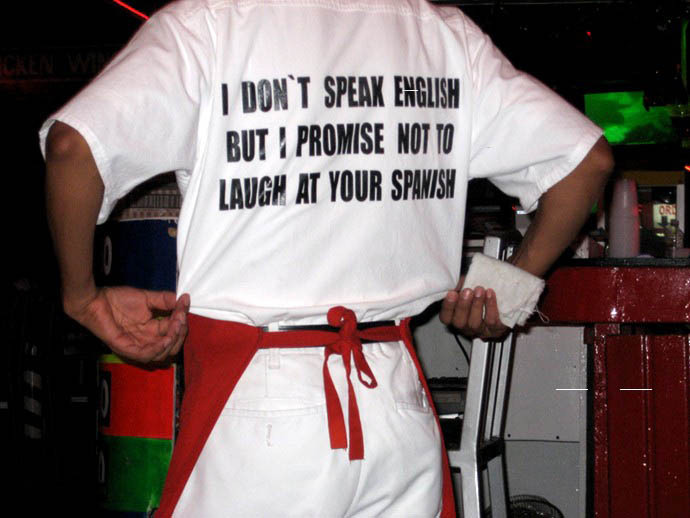 There’s so many people in this country that think they don’t need to learn English!!! !